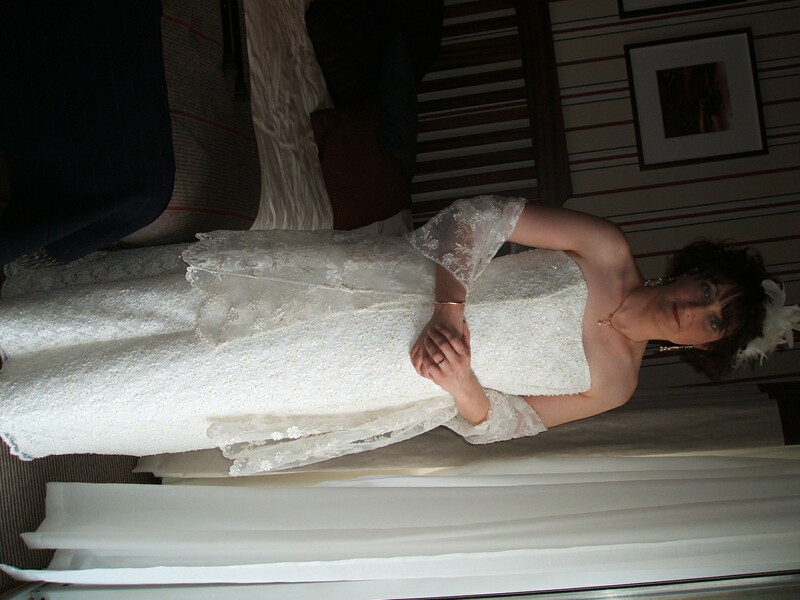 When I first went out for the day with friends to try wedding dresses on, the one I fell for had a shrug with it. Somehow I’ve never felt comfortable in shrugs or bolero jackets, especially lace ones! The assistant obviously saw my face and suggested I try a shawl, she draped a lace shawl over my arms and it just worked, I felt comfortable with it. One of my friends once commented that I was the only person she knew who could really wear a shawl! 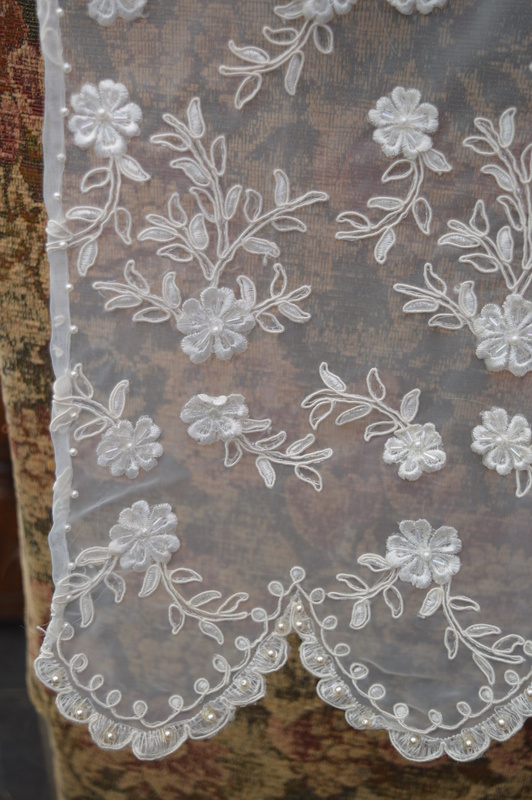 I found some lace in a mill in Lancashire, I think it’s actually veiling, it had deep bands of embroidery along each edge. The problem was it wasn’t very wide, certainly not enough for a shawl. I bought a metre to play with. After much pondering I cut it in half selvedge to selvedge, I then cut one of those lengths on half again to make two short lengths. I laid the scalloped lace edge of the long piece over the top of the lace of each of the shorter pieces(are you following this…!) and hand stitched the two together. 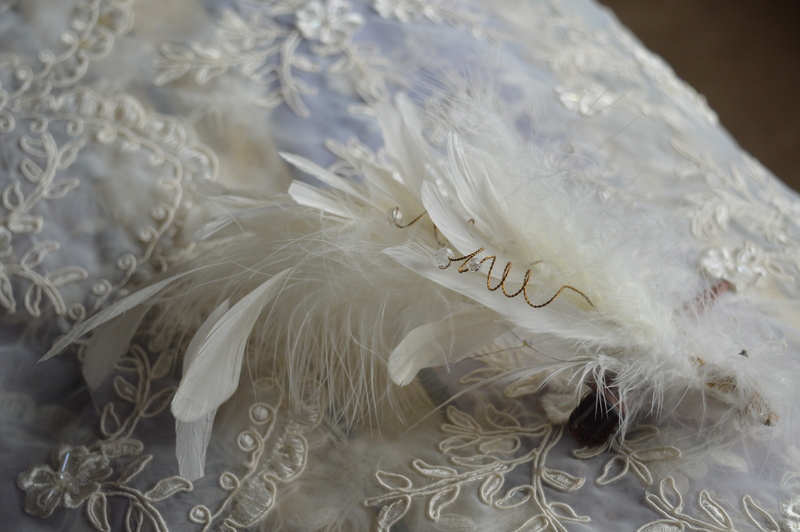 The excess tulle was trimmed to just above the scallops, turned under and slipstitched down. You can just see the join on one of the photos. I narrow hemmed the sides by hand and stitched tiny pearl beads into the hem as I went along, mainly to help disguise the stitching! The shawl was effectively finished now, however I didn’t feel it hung quite right, it needed a bit of weight at each end. I decided to add pearls along the scalloped edge in the middle of each sequin that was already there. I thought I might need some drop pearls as well, but that proved sufficient. 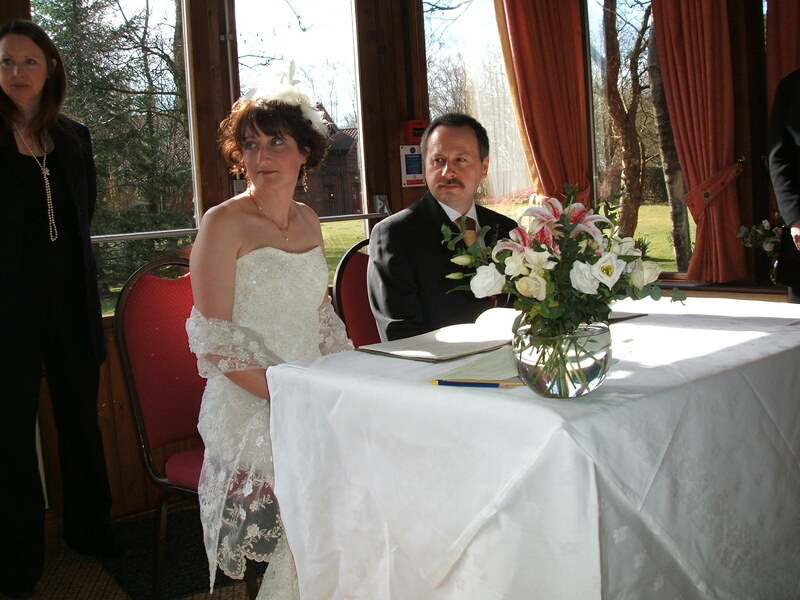 I loved wearing it, the photograph of the back of my dress here shows it nicely too. 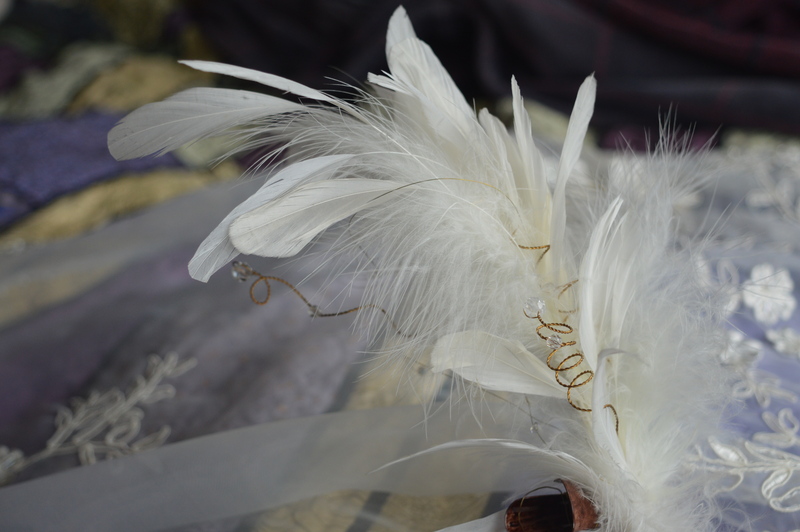 I debated for a long time about what to wear in my hair, I didn’t fancy a tiara, a veil didn’t seem suitable for a second wedding, wasn’t sure about a hat…then I tried on some feather fascinators! Loved them! I ordered one but when it arrived I was a bit disappointed with it, so I took it apart, added some extra feathers and sparkly bits, I also attached it to a hair clip rather than a comb. This was my hairdressers suggestion as she said it’s much easier to slide a clip in, than to try and secure a comb. 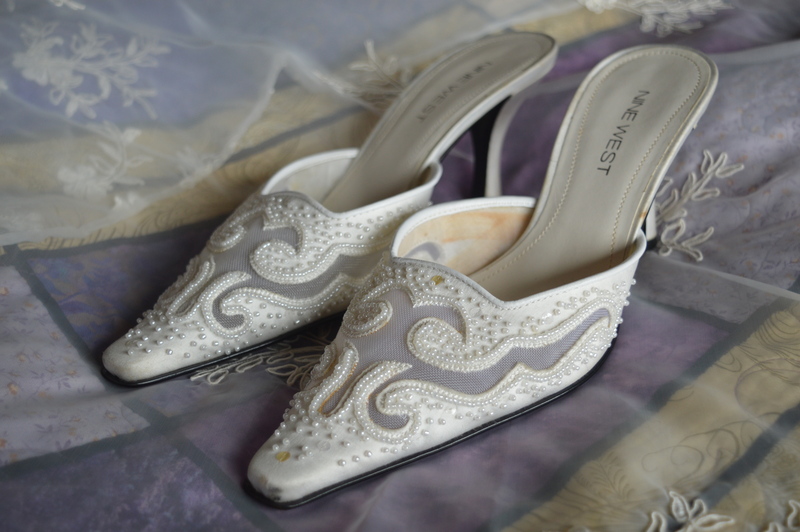 Obviously I didn’t make my shoes, but aren’t they gorgeous, they were a bargain, £10 from the Boundary Mill shop in Colne! It was their last pair and they’d been separated, it took me half an hour to find the other one, but I just love them! I had a little beaded handbag too which on the day contained calpol, cotton wool pads and calamine lotion as my son went down with shingles four days before the wedding!! 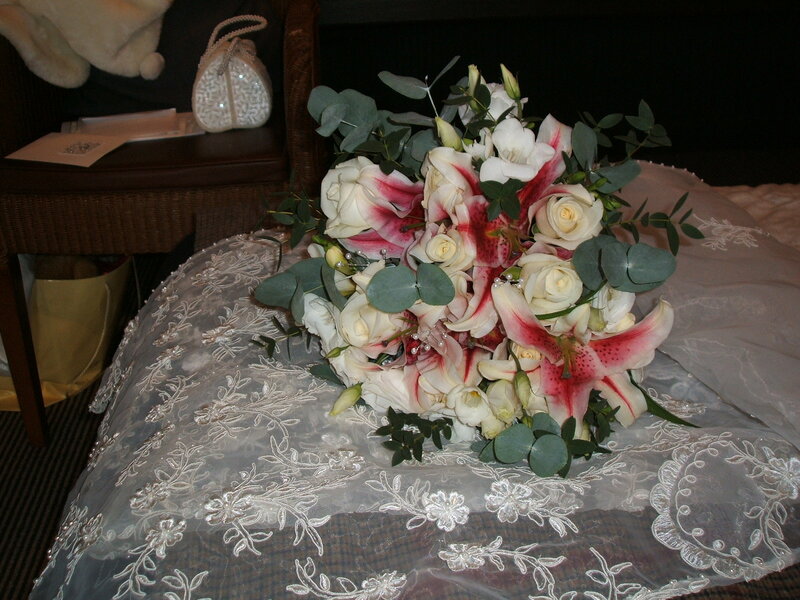 What else would a mum have in her wedding handbag…! 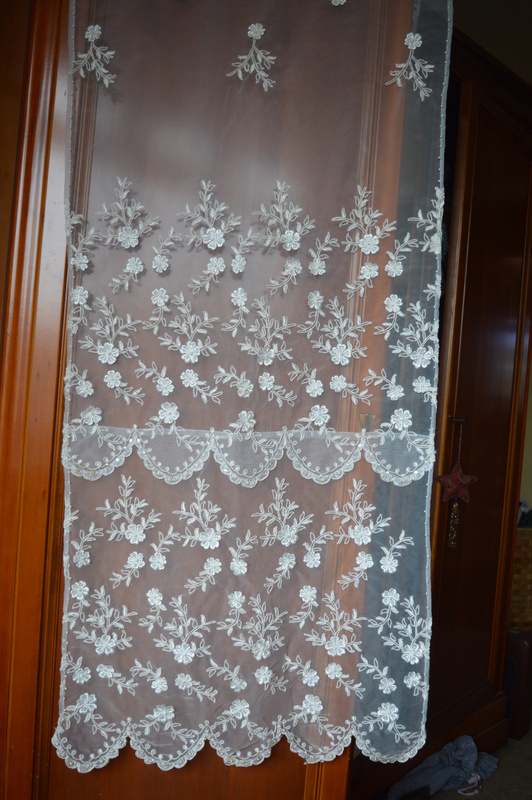 This entry was posted in Sewing, Wedding and tagged Lace Shawl, wedding. Bookmark the permalink.